mss_fig1.Rmd: load data and reproduces figure 1 mss.R: script that demonstrates the R classes mentioned and wrapper functions (methods) that warn in case prediction or aggregation is considered non-meaningful. The appropriateness of spatial prediction methods such as Kriging, or aggregation methods such as summing observation values over an area, is currently judged by domain experts using their knowledge and expertise. In order to provide support from information systems for automatically discouraging or proposing prediction or aggregation methods for a dataset, expert knowledge needs to be formalized. This involves, in particular, knowledge about phenomena represented by data and models, as well as about underlying procedures. In this paper, we introduce a novel notion of meaningfulness of prediction and aggregation. To this end, we present a formal theory about spatio-temporal variable types, observation procedures, as well as interpolation and aggregation procedures relevant in Spatial Statistics. Meaningfulness is defined as correspondence between functions and data sets, the former representing data generation procedures such as observation and prediction. Comparison is based on semantic reference systems, which are types of potential outputs of a procedure. The theory is implemented in higher-order logic (HOL), and theorems about meaningfulness are proved in the semi-automated prover Isabelle. The type system of our theory is available as a Web Ontology Language (OWL) pattern for use in the Semantic Web. In addition, we show how to implement a data-model recommender system in the statistics tool environment R. We consider our theory groundwork to automate semantic interoperability of data and models. Stasch C., Scheider S., Pebesma E., and Kuhn W. (2014) Meaningful Spatial Prediction and Aggregation. 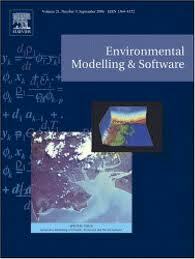 Environmental Modelling and Software, 51, 149-165.